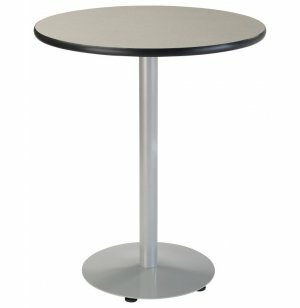 Boost Round Café Table - Standard Height 30” dia. Note: Bar height table shown. 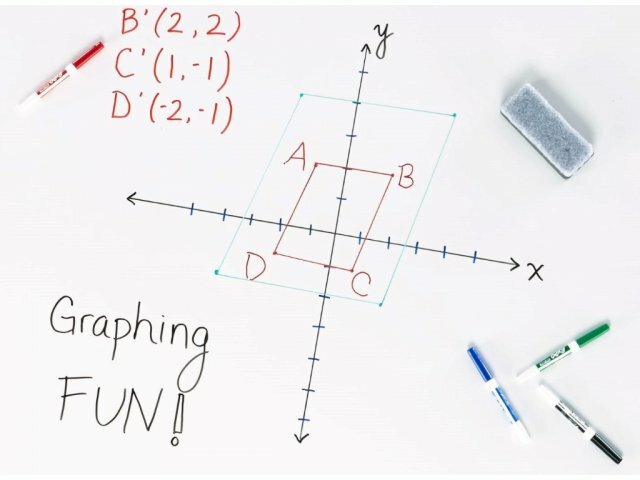 See below for dimensions. 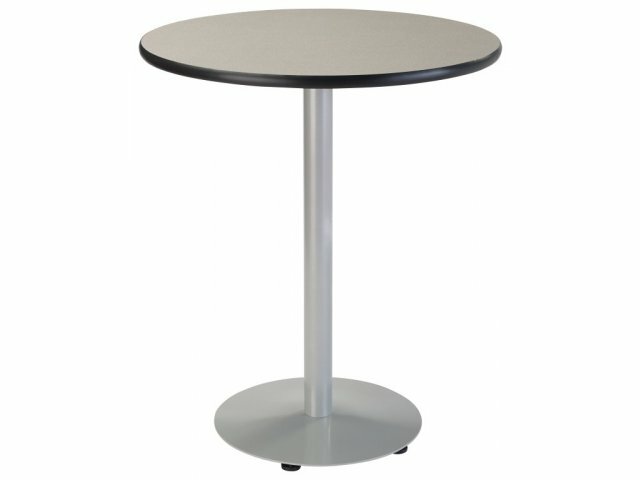 Your students can eat or study comfortably while seated at this cool café table. These café tables have just the boost your school needs to bring a contemporary appeal into any space. The sleek, straightforward design will look great in a library, media center, student lounge or cafeteria. Smooth, high-pressure laminate tabletops with poly backer sheets and PVC edge banding support your students no matter what they are doing. 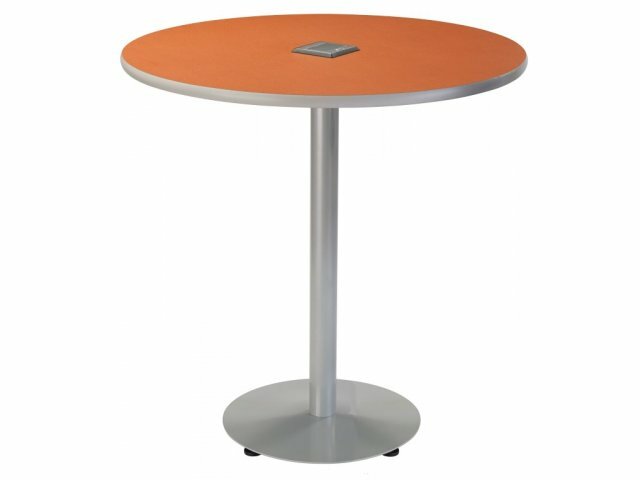 Sturdy café tables are designed for constant use throughout many years. 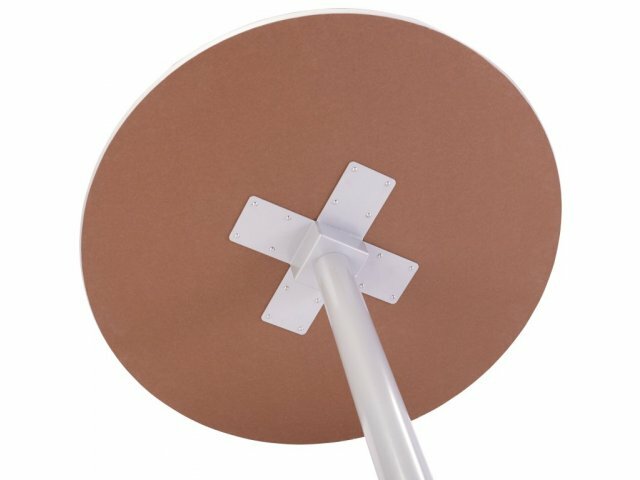 Tops are supported by four steel plates, attached to the tabletop by 16 screws, as well as a tough-gauge steel center pole and base. 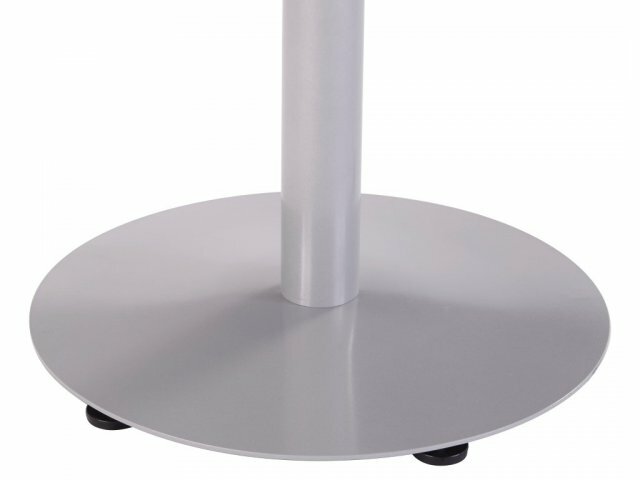 Adjustable rubber glides ensure that the surface is level no matter where your table is. For a fully-coordinated space, combine with some attractive Boost Café Stools.